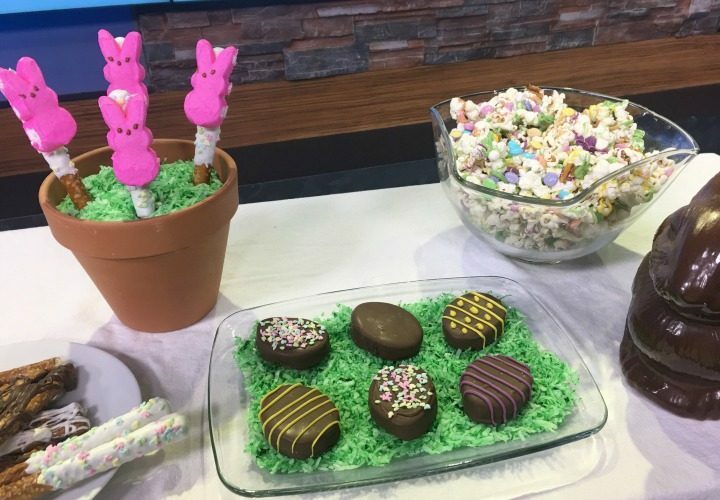 Only a week til Easter but you may still have parties at school, and Easter Egg Hunt to host or attend, or maybe you will be having guests over during the Holiday weekend. 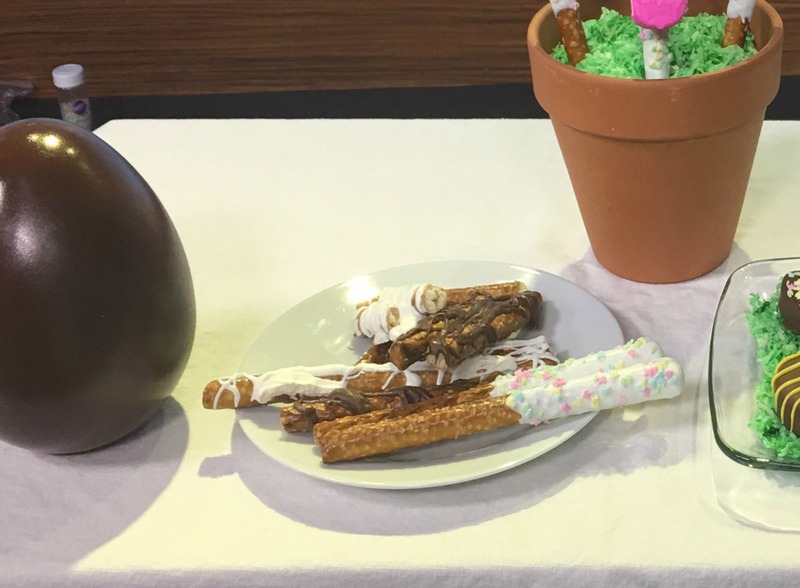 So let’s get busy making some Easter treats and goodies. 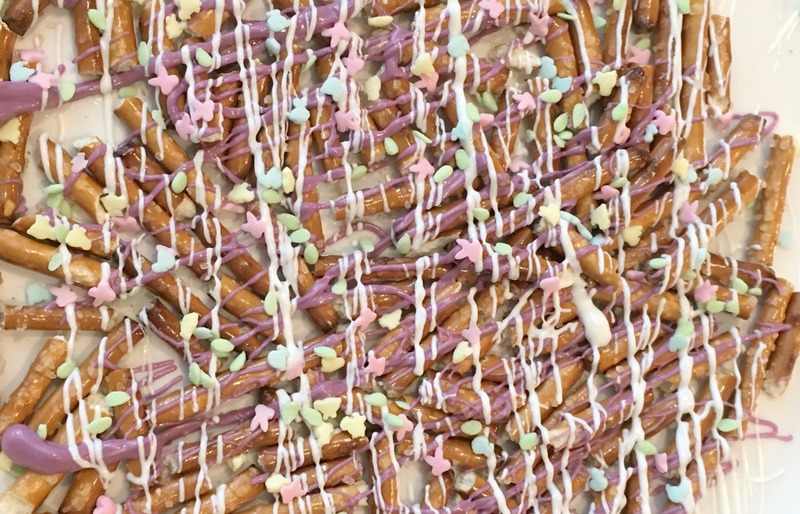 Something everyone loves is a chocolate covered pretzel – the sweet and salty is always a favorite. A twist to these for Easter – add a Peep. I chose to use white chocolate, which really isn’t chocolate, but still a great taste. Wilton Candy Melts are in so many colors now but my favorite to start most projects is the Bright White. It’s a vanilla flavor but a pretty white color. Follow directions on the package for melting, either by double boiler or microwave, being careful when it is hot. 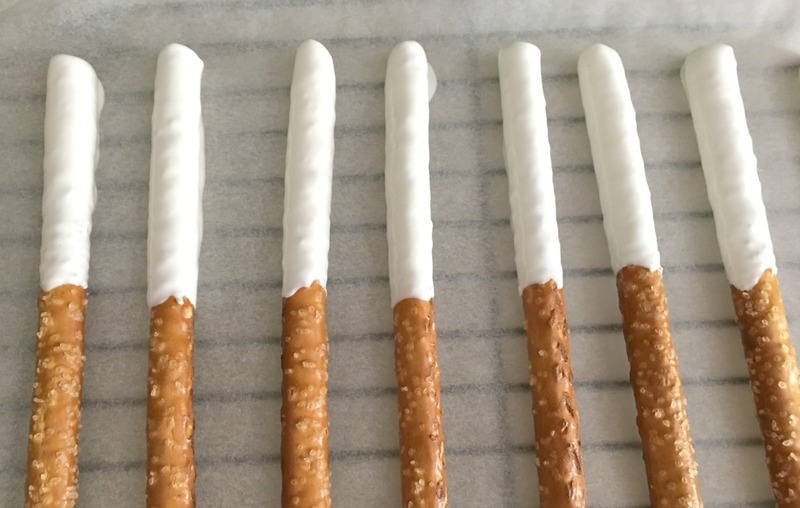 Dip the pretzel rod into the melted candy, covering about half of the rod. 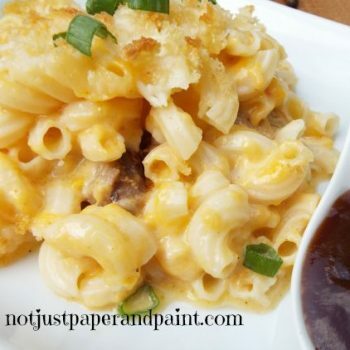 Shake off excess and place on parchment paper. Add sprinkles immediately so they will stick better. Allow to let candy set up. 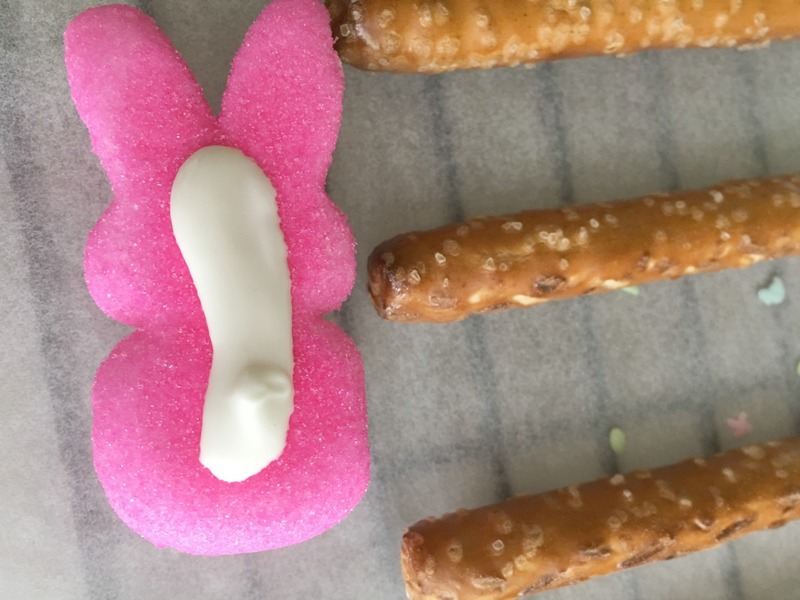 If adding Peeps, place a small amount of candy on the back of the Peep and place on rod. My garden is a clean terra cotta pot. Cover the drain hole with aluminum foil or plastic wrap then fill almost full with rice. Then add a layer of green tinted coconut for your grass. Coconut is easy to tint by putting your desired amount in a zip lock back and add a few drops of food coloring. Shake well until color is distributed. Add more food coloring if desired, but as it sets, the color will deepen. 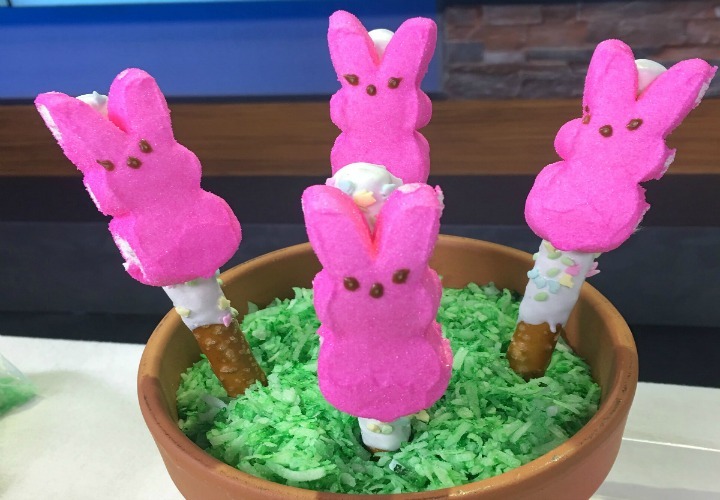 Place your Peep Rods into the “grass”. 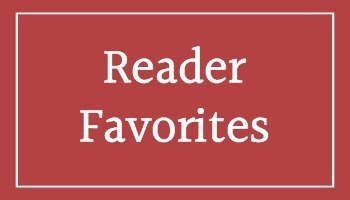 Another holiday staple is popcorn. 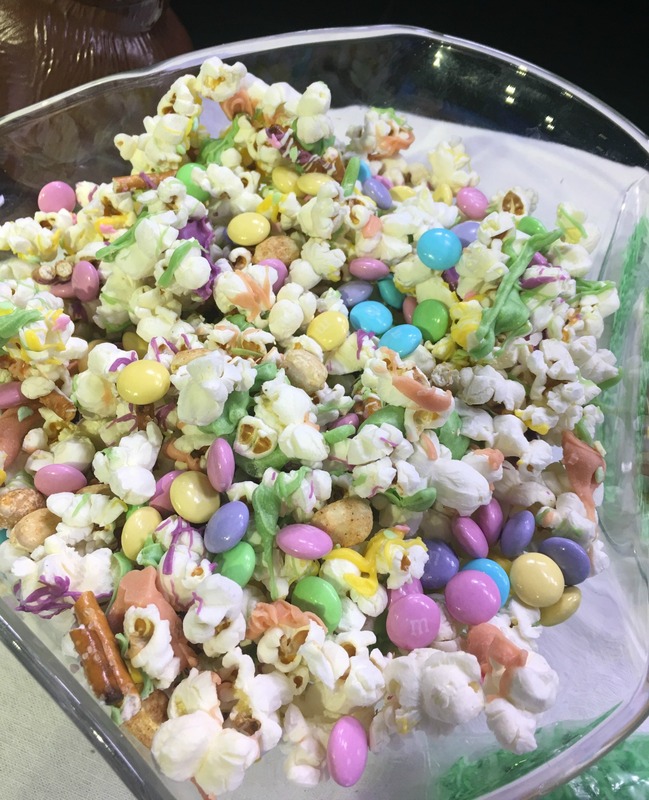 By adding multiple colors of candy melts, you can make popcorn about any color for any holiday or special occasion. I chose pink, yellow, and lavender. 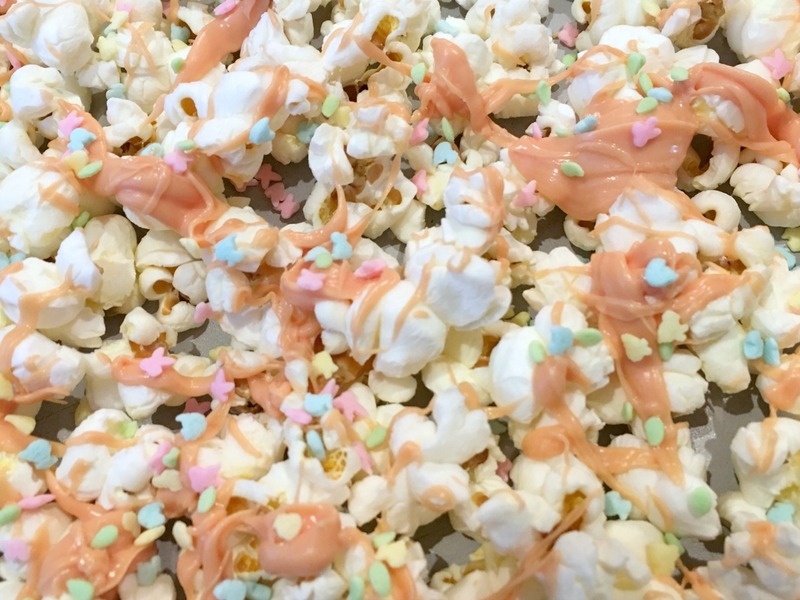 Starting with plain popcorn, I divided the popcorn into 3 sections and drizzled one color of melted candy on top of each pan. To keep my work space cleaner, newspapers were placed under the baking sheets to catch the extra drizzle. While the candy is still soft, add sprinkles if desired. Let each bunch set up. What else is crunchy? Pretzels of course. 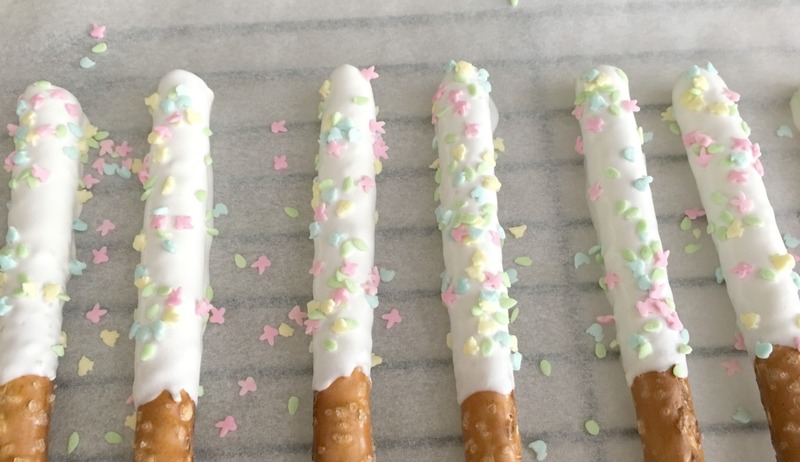 Pretzel sticks were broken into about 1/2″ pieces and drizzled with white and colored melts, then added sprinkles. Allow this to set also. After all was set, I mixed the 3 colors of popcorn with pretzels, added peanuts and M & M’s. Well, I wasn’t happy with the color. The pale yellow and pink wasn’t as bright as I wanted. So I decided it needed some green. But I didn’t have any, but I yellow and light blue = green. Equal numbers of melts were used. 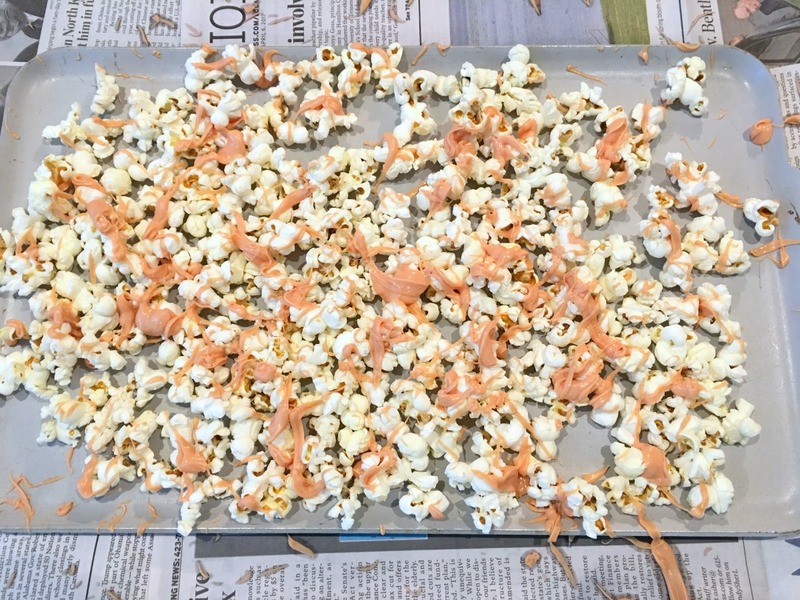 I spread the popcorn back out and drizzled the green on as I had the colors earlier. 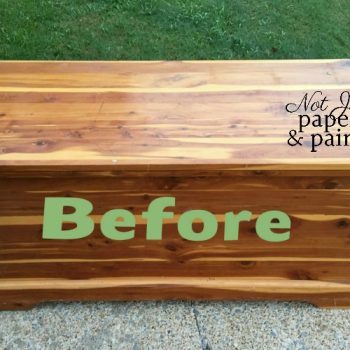 The green was just what it needed. It’s ready to serve up or fill treat bags. My son’s favorite candy is Reeses Cups so when thinking of another treat to make, why not make my own. I made chocolate covered peanut butter balls about 40 years ago so it was time to bring the recipe back out. The old fashioned chocolate covered peanut butter ball is updated for Easter. Mix together first 3 ingredients. Add milk a tablespoon at a time as needed. 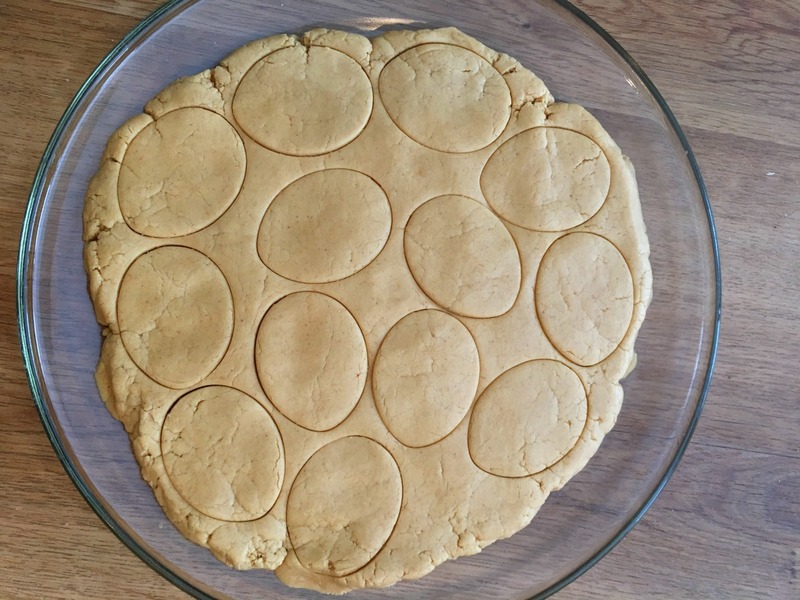 The dough should be just moistened enough to form a ball. Form into ball or egg shapes. 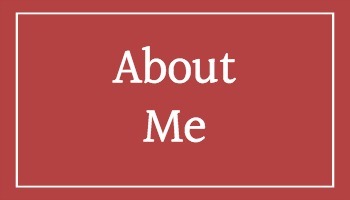 Can be patted onto a flat surface, about 1/2" thick, and cut with cookie cutter. Freeze at least 20 minutes before dipping into melted candies. After dipping, place on parchment paper to set. Add milk slowly at a time. This can depend on a variety of factors including how oily the peanut butter is. 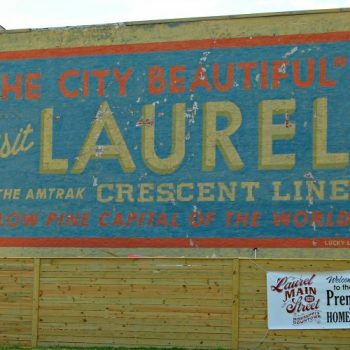 This is where your creativity can come out. 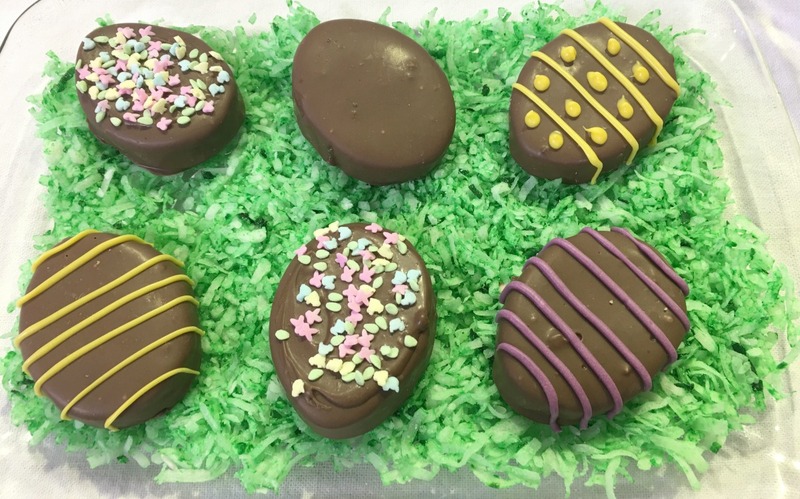 After you have your eggs covered in chocolate, leave them plain, add sprinkles, or make designs. Let the kids decorate their own too. Make a pastry bag from a freezer zip-lock bag. Just remember, no matter how the decorating looks, they all taste the same. 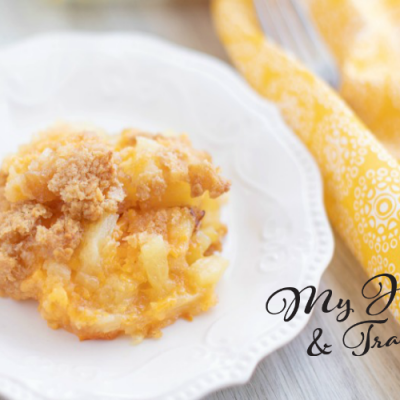 Do you have leftover melted candies? Just drizzle this over any of your pretzels, you always have broken ones, for your own family.